It is not a trivial thing when military commanders accuse an opposition party of having a militant wing comprised of army deserters. This is especially true given past accusations against opposition parties. In 2008 the then President Robert Mugabe accused Morgan Tsvangirai of training militias in Botswana to destabilise the country. On February 6 1982, then State Security minister Emmerson Mnangagwa held a press conference where he claimed government had discovered 60 arms caches in Matabeleland, 30 of which were allegedly at a farm owned by a company connected with ZAPU. The subsequent crackdown on ZAPU is well documented. It must be remembered that the Zimbabwe Republic Police (ZRP) in August raided MDC Alliance offices and arrested 21 people after obtaining a warrant to search for grenades, unlicensed firearms, ammunition and unspecified subversive material. Against this background, it is dangerously naïve for MDC to say that it is not taking the commission of inquiry seriously for the simple reason that very serious allegations have now been made against them. While no firearms were found during the August police search, there is a very real possibility that a February 2, 1982 scenario could play out again. It might appear an overly paranoid concern but it is not beyond the authorities to plant or fabricate evidence. It happens the world over. The Glen View 21 case, where 21 MDC supporters were accused of killing a police officer, is a concerning example. 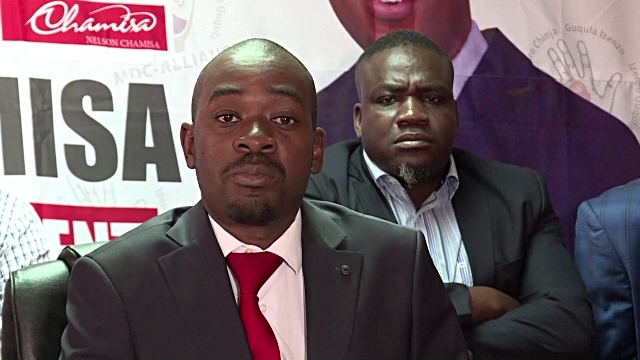 Nelson Chamisa together with Tendai Biti will now be appearing before the commission of inquiry. Whether or not they take it seriously is immaterial; they must be prepared or risk being cornered by hostile commissioners sympathetic to the authorities. By claiming that people had already been killed by the time the army arrived as well as that the MDC has an armed militant wing, the authorities are attempting to weave an elaborate counter narrative that places the blame squarely on the opposition. Woman attempts to kill self for not covering maheu.